MOJO is a vibrant, sweet-woodsy-smoky blend of organic essential oils that are perfect when you need greater mental focus, confidence and one-pointedness. MOJO’s earthy aroma is made from organic and therapeutic-grade essential oils that support optimal wellness. MOJO is a vibrant, sweet-woodsy-smoky blend of organic essential oils that are perfect when you need greater mental focus, confidence and one-pointedness. 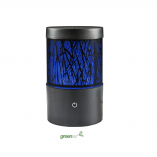 MOJO’s earthy aroma is made from organic and therapeutic-grade essential oils that support optimal wellness. MOJO’s vibrance is the synergy between Vetiver (boosts energy, anti-inflammatory often used on achey joints, soothes anxiety, aphrodisiac, increases libido, has been widely used to support ADD symptoms), Cedar Atlas (improves focus, anti-inflammatory, reduces skin irritations, de-toxifies, improves circulation) an Lavender (reduces anxiety and emotional stress, anti-inflammatory often used to soothe skin wounds, balance skin complexion and reduce acne, rich in antioxidants, soothes headaches, antimicrobial). Directions For Use: Apply the equivalent of one drop of MOJO to your wrists and to the back of your neck, and upper chest. 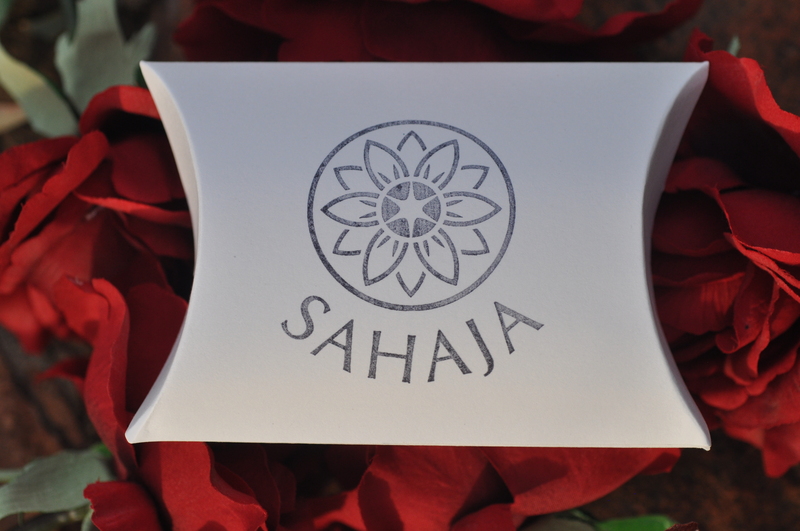 SAHAJA Essential Oils blends will evolve over time, as you wear them. They are intentionally complex with top notes that will absorb and evaporate more quickly than the base notes which have a more tenacious scent. Reapply as often as desired. 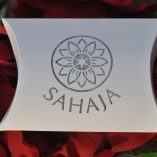 Due to the economical and spill-proof roll-on application system, your SAHAJA Essential Oils Blends will last a long time. Avoid getting MOJO in your eyes. If you have any adverse reaction to an essential oil, discontinue use and dilute it by adding a cold-pressed oil to the area. Water does not dilute an oil; it may intensify the effects. 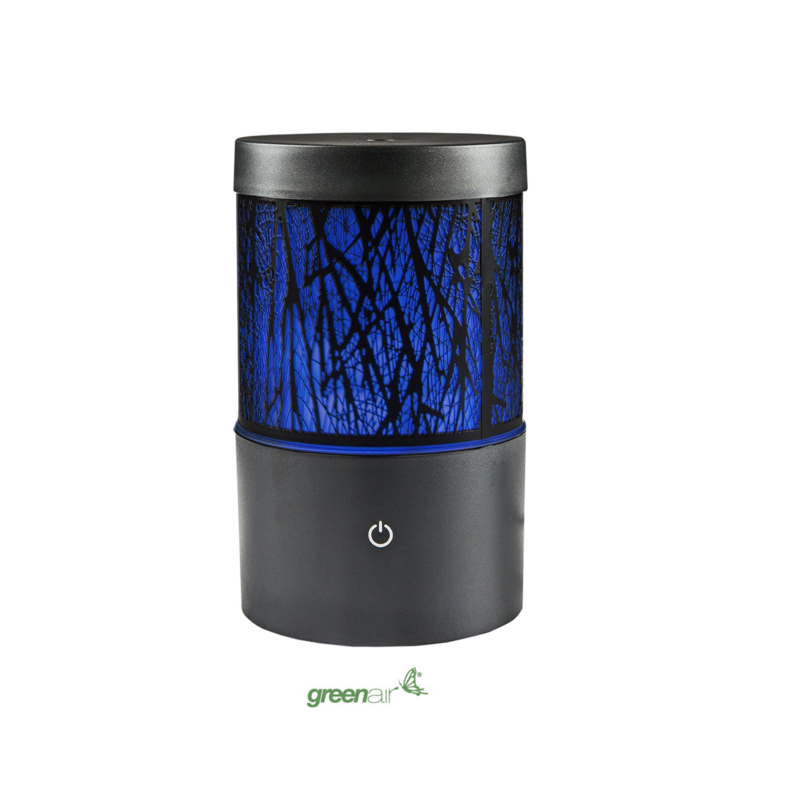 Directions for Using MOJO In An Essential Oil Diffuser: Lift off MOJO’s roll-on top and insert the orifice reducer that comes with every SAHAJA bottle. Push down on the orifice reducer until it fits snugly into the bottle. Add 3-5 drops of MOJO to your diffuser and enjoy the soothing, energizing woodsy aroma. I needed a boost this week end to get a report written and wanted to pamper myself at the same time. MOJO was the perfect antidote! I got my work done and felt the love at the same time. This blend is excellent! 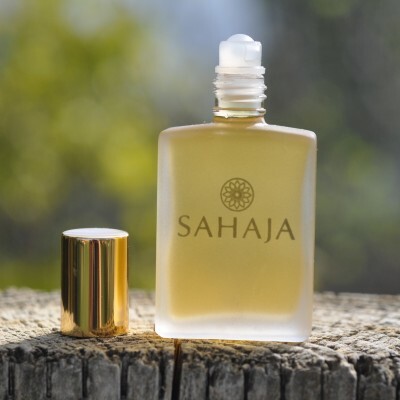 I’ve been using Sahaja’s products for awhile now and have recently found MOJO. I’ve been wanting an essential oil – as opposed to a food supplement for the brain – because essential oils are, for me, immediately received by my body and mind in a totally natural fashion. 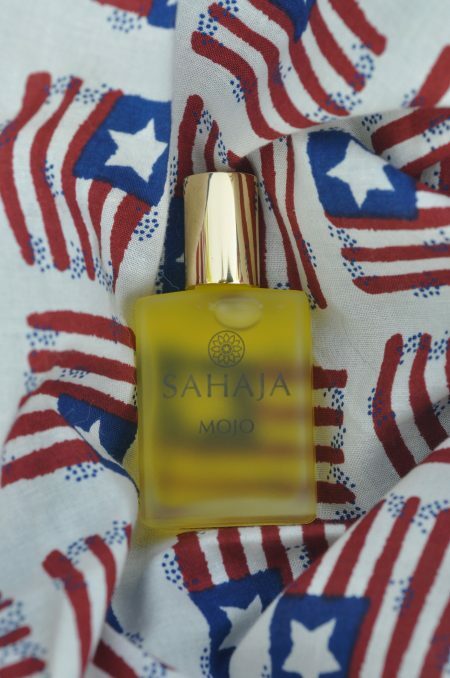 MOJO can be applied SOOOOO easily with Sahaja’s roll-on applicator. I just love her roll-ons because you can carry them in your purse, apply them quickly before a business meeting where you need to be sharp (and you want to smell clean and refreshing) and you don’t end up with a sticky mess all over your fingers. Greasy fingerprints are NOT good on documents!!! 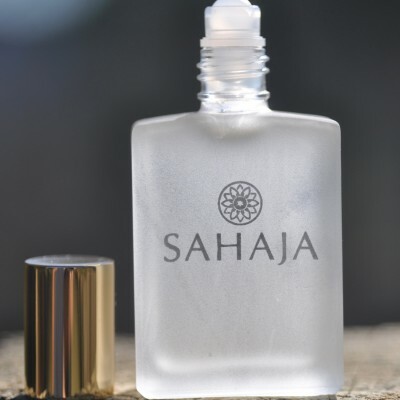 This issue NEVER happens with Sahaja’s oils because you can apply them quickly, effectively, and, if you wish, never use your hands. 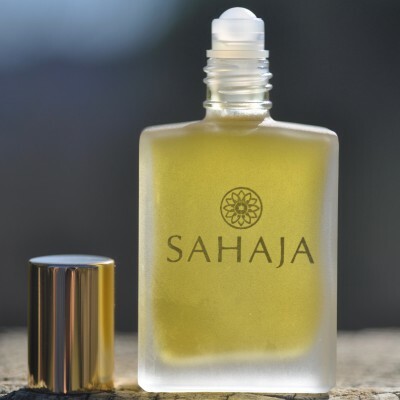 I’m very impressed with the vetiver in MOJO – it’s usually a challenging oil to apply, but the way Sahaja has blended it has made it easy to apply and even more effective with her accompanying oils than if you were to use it on its own. (It’s almost impossible to use NEAT because it’s so thick.) When I use MOJO, my brain is ready to roll – I’m focused and prepared for all tasks at hand.